Secrets of Ayurvedic Massage is a practical manual for the Western massage therapist. However, it goes beyond an ordinary manual because it deeply penetrates the Ayurvedic understanding of the life force, Prana. Ayurveda is a system that treats individuals, and in accordance with these principles, this book explains how each type of person should be given an Ayurvedic massage. The author has spnt many years doctors. within these pages the secrets of these extraordinary people will bbe reavaled and explained in detail. 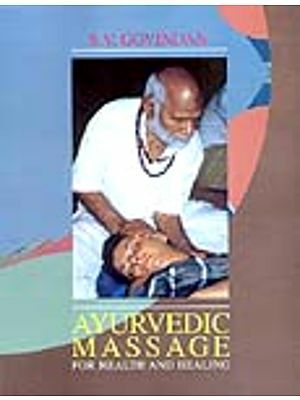 Provides a clear guide to the techniques of Ayirvedic Massage. Teaches the reader how to understand the individuality of the person they are working on. Explains the subtle anatomy of Ayurveda, with a detailed explanation of the marma points and the nadi (meridian) system. Pesents a clear chart of marma location. Explains the correct use of different oils and herbs as used in Ayurvedic Massage. Gives the qualities and energetic properties of massage oils according to Ayurveda. Explains the difference of Abhyanga and Snehana massage. Explains the role of Vata and Prana in massage. Provides clear example of techniques through photos. Adapts traditional Ayurvedic method for the modern massage therapist. Atreya was born in Southern California and lived most of his adult life in Asia and Europe. For many years he lived in Indian studying meditation and the healing arts. Atreya is the author of three books on the healing tradition of India, Prana: The Secret of Yogic Healing. 1996; Practical Ayurveda: Secrets for Physical, Sexual and spiritual Health 1998; and Ayurvedic Healing for Women, 1999. He currently lives with his wife in France and is the director of the European Institute of Ayurveda Studies. He offers certified program in Ayurveda in Europe and with his teachers in India.